No. Issa fad. People will remember still remeber it and how big it was and ... that's it ... I think a song is iconic when it's still played on the radio on regular airplay, and I don't see it being like that. Think of it this way: Popular 00's Spanish hit "The Ketchup Song (Asereje)" was huge in it's day, pretty sure it was as successful as Despacito. 15 years on, is the song still relevant? Do people still remember the song? Do kids of our generation know the lyrics? no. and the same will happen with Despacito. I think it will be remembered in the same way as Gangnam Style and Macarena, where people look back and laugh, but wouldn’t ever listen to it. Compare that with Bad Romance, Single Ladies, Thriller etc where people remember them for being the bops that they are, and still enjoy listening to them. 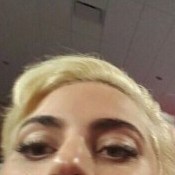 Bad Romance is an iconic hit, Despacito will be a funny meme. in 20 years people will be commenting "Back when music was real music" like they do now with trashy hits from the 90's. Nostalgia always changes people's perception.